When I was in high school I decided that I wanted to follow my friend Mark Sparks (now the principal flutist of the SLSO) into classical music after he turned me onto such pieces as Tchaikovsky’s 4th Symphony and the Stravinsky’s Firebird. Before that time I had not realized how exciting orchestral drumming could be. 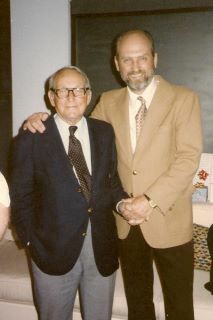 I began studying with Tom Stubbs of the St. Louis Symphony. It was a big rush for me when I descended his basement stairs for the first time and saw a room packed to the rafters with percussion instruments, records and music. That opened up a whole new world for me. Not long after that I auditioned for and was accepted into the St. Louis Symphony Youth Orchestra which was as an amazing experience. They had (and continue to have) one of the best orchestral training programs for young players anywhere. Another more unusual highlight of those years was joining El Mariachi Guiador as a marimba player. The group was started at Kirkwood High School by Luis Diaz, a Spanish teacher and baseball coach. At its height there were two trumpets, trombone, several guitarists, bass and me. I had a Deagan marimba that I lugged around to every gig – and there were a lot of gigs – none of which paid well, but all of which were fun. Parties, really. In fact, I naively thought that being a musician would be like that: one party after another. That turned out to be a bit of wishful thinking on my part! After high school I attended the St. Louis Conservatory of Music for two years where I studied with John Kasica and the late Richard Holmes, both of the St. Louis Symphony. I loved the way they played and very much wanted to study where they had, so I practiced like a fiend and was admitted to the Juilliard School in New York City as a transfer student. This was, to say the least, pretty heady stuff for a kid like me. I was the last student accepted into the studio (from outside of the school) of the late great Saul Goodman. This is how I like to remember him, irascible as ever and still very capable of getting an amazing sound out of the timpani. He used to stand behind me in lessons and shout, “The sound, the sound, the sound!” He always emphasized musicality and presence. Students were encouraged to be musical forces in the orchestra; playing the right notes in the right place was the beginning of the process, not the end. Here I am around the time of my first Juilliard graduation, way back in 1982. That was for my Bachelor’s degree. A year later the scene was repeated when I got my Masters, a common occurrence in those days. People used to say that Juilliard was cut-throat and intense, but I thrived there. I stumbled into a rent-controlled apartment on the Upper West Side and fell in love with the city. After Mr. Goodman retired, I studied with the late Roland Kohloff and Buster Bailey, both wonderful players and exemplary human beings who are sorely missed by all who knew them. 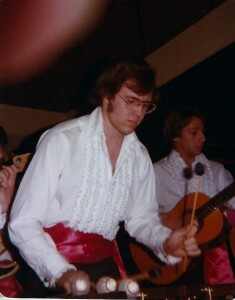 In 1983 I received the Saul Goodman Award for Percussion Performance. 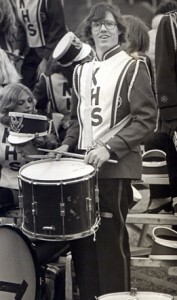 Upon graduation I played timpani in the Colorado Philharmonic (since renamed the National Repertory Orchestra) and then joined the Evansville Philharmonic in Evansville, Indiana and the Owensboro, KY Symphony. I auditioned actively for several years, trying to move up the orchestral ladder; though I met with some success, I did not land a permanent position. Eventually, I left Evansville to move back to St. Louis and go into commercial music with my brother, Dan, a gifted composer, guitarist and teacher. We had some good clients, learned a lot and had some fun. We also formed a band called Red Weather that played original pop tunes. I wrote most of the lyrics and Dan wrote all of the music, dozens of songs in all. We worked hard at it, and again, we learned a lot and had some fun for several years. 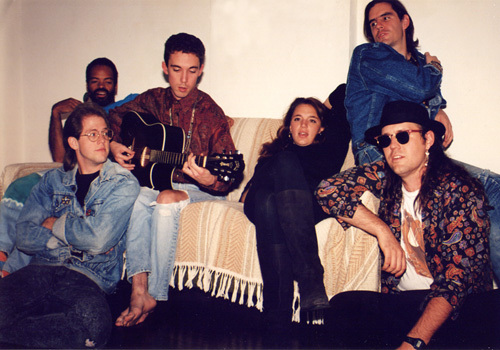 Pictured above are (left to right) Mark Foster, Mark Miller, Hale Fulton, Lisa Campbell, Dan, and in the shades and long-lost locks, me. 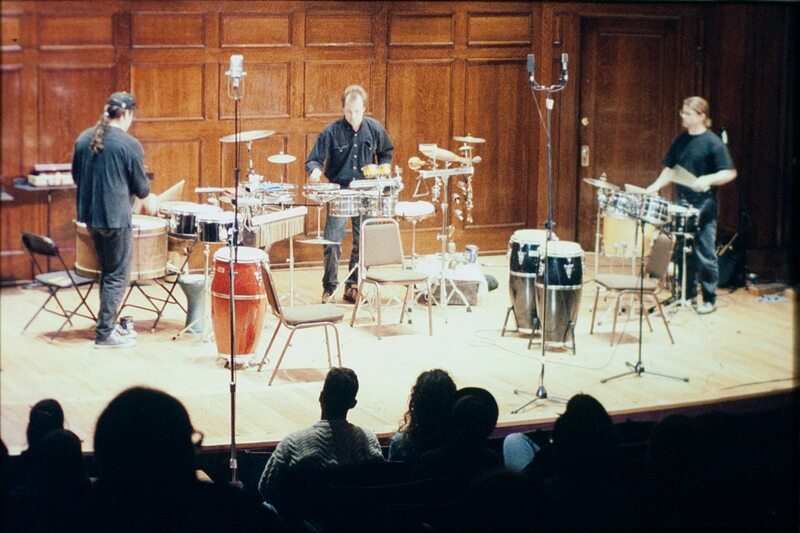 Another project I was involved in was a new-music group called the Nuclear Percussion Ensemble, the brain child of St. Louis percussionist Henry Claude. 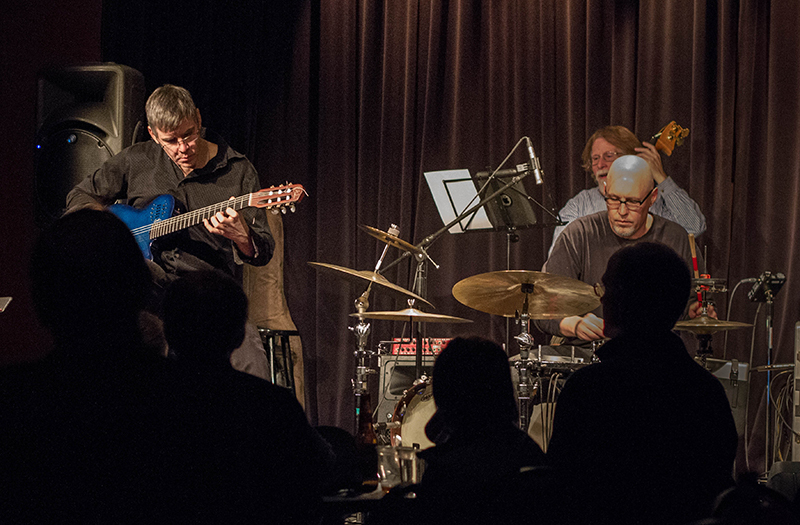 They played original compositions and improvisations and performed Young Audience shows, performing in schools. 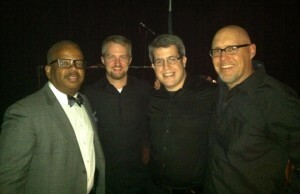 Other NPE projects included a series of concerts, First Night St. Louis, and a bunch of other stuff. The reviews were always good and we even won a couple of local awards. In 1993, I returned to school and got a masters in media communications from Webster University, in St. Louis. I worked as a web developer and designer, which led to my current position at Saint Louis University as an instructional technology specialist. I work with a great bunch of people in the College of Public Health & Social Justice. I have been very fortunate to be an extra percussionist with the St. Louis Symphony and Opera Theatre of St. Louis for many years. 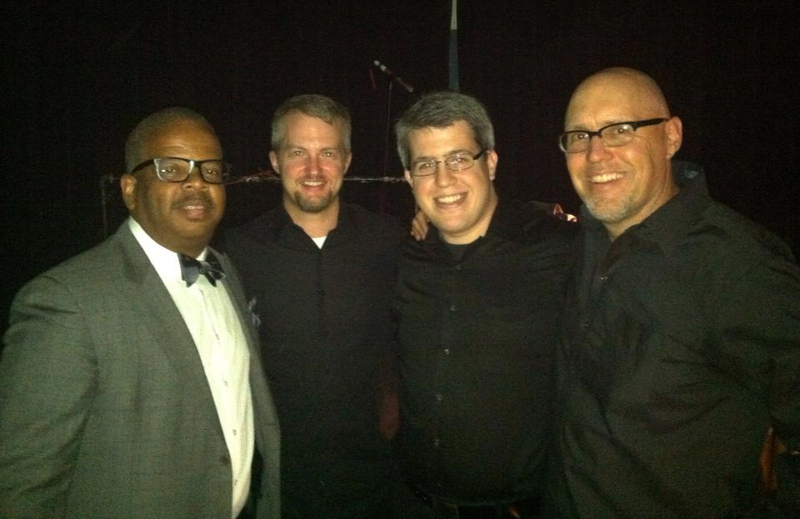 A major highlight (among many) was in June, 2013, when I played for Opera Theatre’s world premiere of trumpeter and composer Terence Blanchard’s opera, “Champion.” It was an honor to be involved with such an amazing project.